I grew up in government-subsidized housing during my elementary to high school years. And while the Jane-Finch projects in Toronto is no Third World slum, it had its own set of severe limitations for its children. I witnessed many kids, some of them my friends, interminably running around the triangular track of despair, violence, ignorance. This was- at least from a child’s POV- a consequence of some complex reasons: heavy-handed budget cuts to schools and after-school programs; parents working all day and night and therefore incapable of having a hand in their children’s affairs; an indifferent upwardly-mobile society. So, with few apparent opportunities, and even fewer role models, the kids in my neighbourhood didn’t place much value on education. Neither did I at the beginning. But fortune came to my side in the form of two teachers: Mr. Oakley and Miss Vienna. They saw something in me and also allowed me to see that I was more than the mere sum of my circumstances. These people embodied that most salient quality of all great teachers: the unshakable belief in a child’s innate potential. They were like animated signposts, directing me to my own promise, inspiring me to stretch myself out to the boundaries of what was possible. An unimagined life was, they taught me, one not worth living. And both breathed the original meaning of the Latin verb, educere: to lead out. 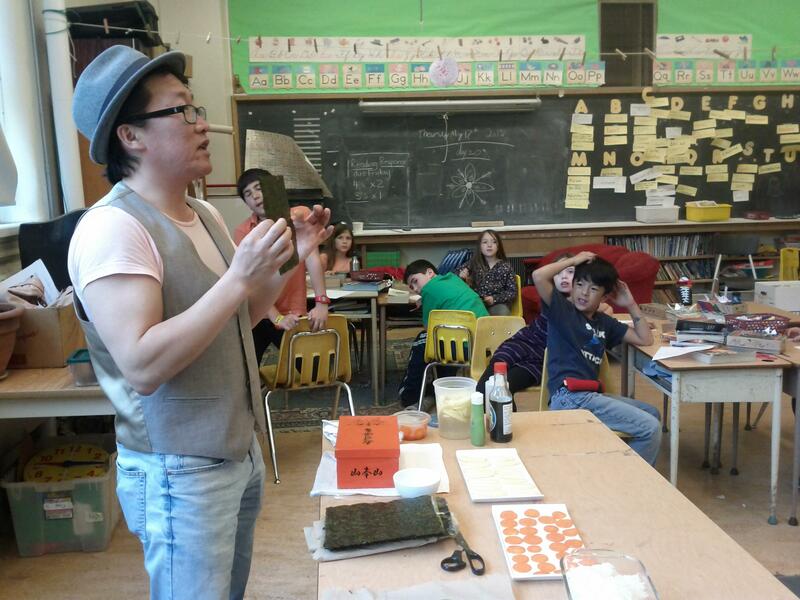 Recently, I was invited into two schools to teach kids how to make sushi. High Park Alternative School and Royal St. George’s College are both extraordinary institutions in their own ways. The former is one of those rare schools where the parent community and school staff work collaboratively and intensively for the common good of the students; the latter is a university preparatory with the highest standards of academic achievement. I was invited there by Shannon Bramer (High Park), a playwright and poet, and Mardi Michels (RSGC), a French teacher at the all-boy’s school, one of my favourite food writers, and co-founder of Food Bloggers of Canada. It must be said, dealing with them confirmed for me that the spirit of Mr. Oakley and Miss Vienna is very much alive today. They are the kind of mentor-teachers that all students deserve, but only a few are rewarded. You see it in their fierce passion for cultivating intellectual (and, in this case, culinary) curiosity. And with the kind of indomitable patience that only great mentor-teachers have, they hold open heavy windows with their arms, legs and necks, repeating the mantra breathlessly: “Look. Explore. Imagine.” In the years to come, many of these students will recall the efforts of these straining women of their past, recall them with a gratitude that can never be precise, for they will be able to acknowledge at last that the quality with which they conduct their lives was in no small part thanks to these Jean Brodies in their prime. 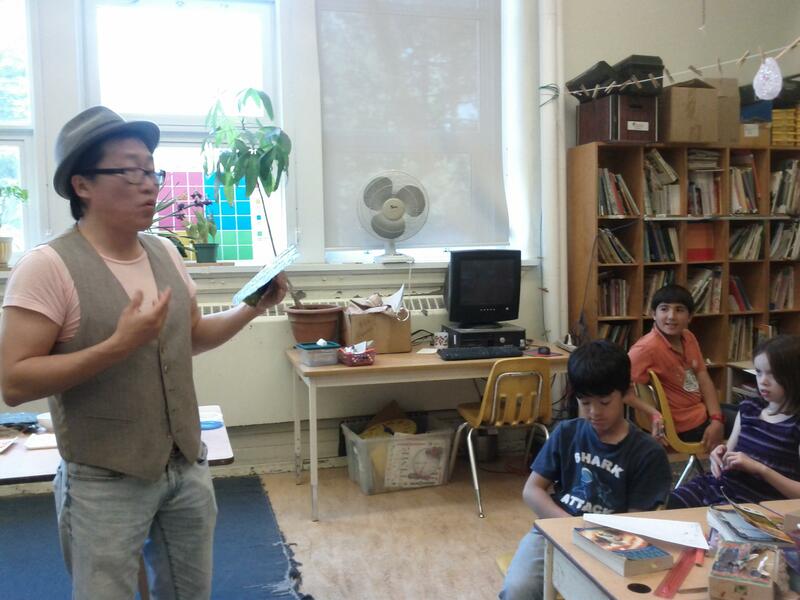 The two days played out like this: first, a grade three class at High Park Alternative School. It was a diverse and sophisticated group. Every one of the 24 students had consumed sushi at some point in the past year. 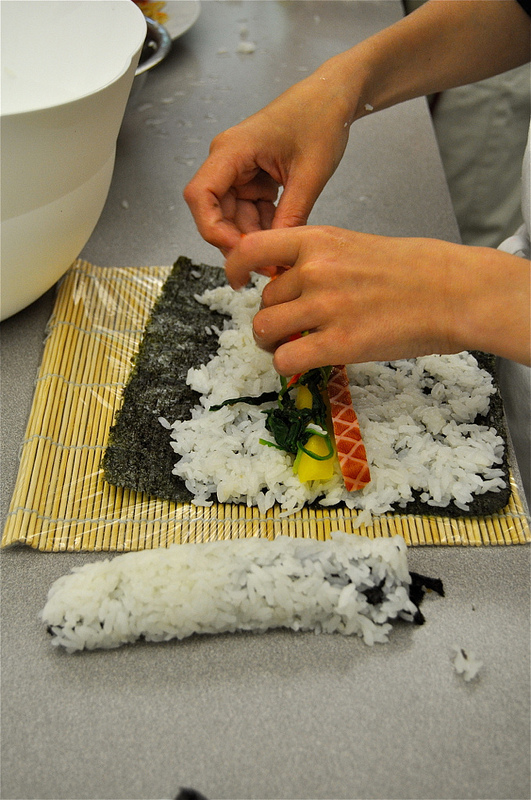 We went through all the ingredients that make up sushi; discussed its shapes, textures, flavours. 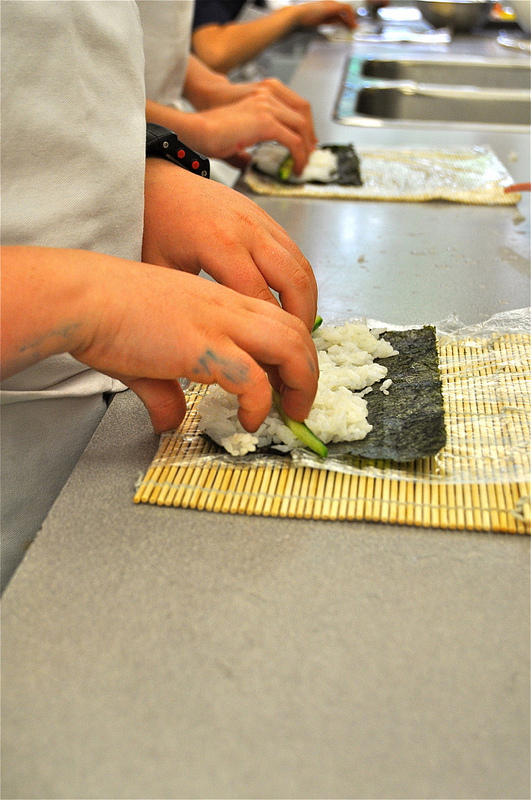 Then they were asked to write and recite poems utilizing the ingredients before engaging in the making of sushi itself. As a writer, I envied their facility with language. When I was in grade three, I could barely string together a simple sentence- not to speak of writing one. Two of the students wanted to be chefs when they grew up. As a chef, I was flabbergasted with their dexterity of hands, their intuitive sense of form and flavour. When I was in grade three, I thought Kraft Dinner was the apotheosis of haute cuisine. At High Park Alternative School, these students taught me that the alternative to their astonishing talents is, and always will be, mediocrity. 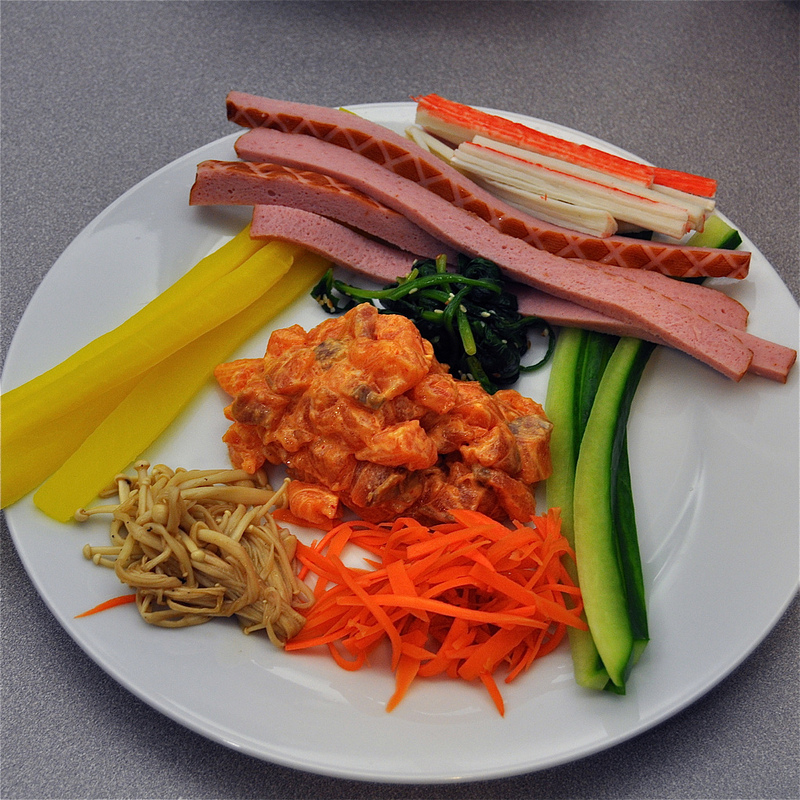 It was in a science lab that the latest culinary revolution was taking place in Toronto. But Les Petits Chefs of Mardi Michels’ weekly class at Royal St. George’s College were not paying homage to Ferran Adria by experimenting with molecular gastronomy, turning turkey and mashed potatoes into foamy essences. No, this was not A Day at elBulli, but about “the power of kinesthetic learning”, as Mardi so eloquently terms it. These 8 to 12 year-olds knew more about the touch-and-feel of food, the language around it, the tactile intelligence of making it that pleases both the eyes and palate than most chefs I have worked with in my 27 years. And not once in my adult sushi-making classes have I had to field questions at this level of deep understanding about food. One of the students- he may have been 11 years-old- replicated the dishes for Sunday family dinner after each of these cooking labs. This was duly noted in my personal multi-volume journal, the one that takes up an entire wall in my bedroom, called: 1001 Reasons For Not Feeling Good About My Life Achievements. Some bitter truths: I have neither the patience to be a mentor-teacher, nor the strenuous courage to hold open windows for children with my weak knees, arms and neck. However, I have learned much over the years, perhaps picked up two or three nuggets of wisdom along my path. And what I have learned is that there is one bit of wisdom that is the mother of all the others, and it is this: that the windows which mentor-teachers like Mr. Oakley, Miss Vienna, Shannon Bramer and Mardi Michels holds open for students like us does not give us a vista into the world so much as a meaningful glimpse into the panorama of our own possibilities. And, being smarter than I was at their age (and even possibly now), the students at High Park Alternative School and Royal St. George’s College get it. I had a Gr. 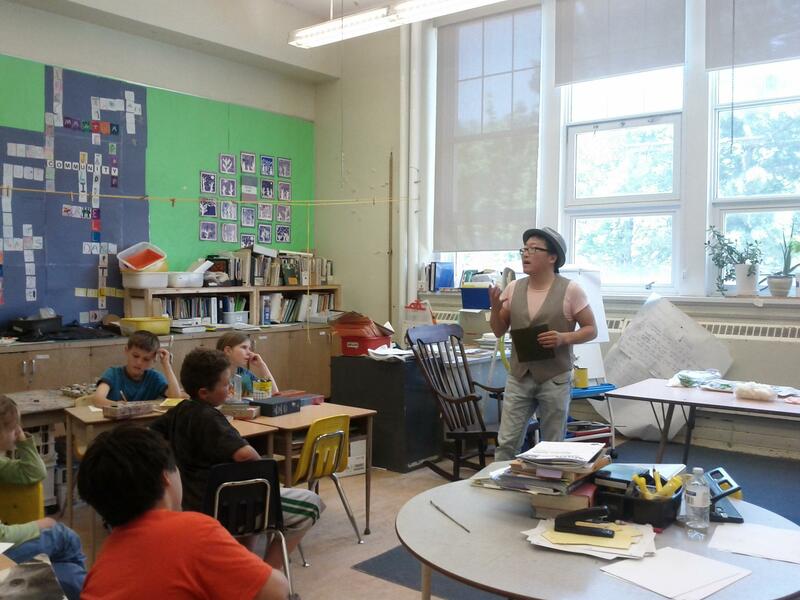 7 teacher, Ms. Van Kulan who also opened the window to show me a glimpse into ‘the panorama of my own possibilities.” I remember her beautiful voice greeting me as I was walking into the my classroom hallway in the morning, “Heejoo, what a beautiful poem you wrote!”. I didn’t even know what “poem” was at the time. I looked at her with a very puzzled eyes. She said, “you hand in a poem about the starving children in Somalia for your homework yesterday?”. That’s when I remembered how I stayed up all night few days ago translating whole bunch of Korean words that I know into English using my paper back dictionary, and scattering them all over the page and colouring the rest of the page with pencil crayons because I could not write any sentences about how I really felt about what was going on in Somalia. Instead of asking me why I didn’t do my homework properly, she interpreted my desperate of act of trying to fill the entire page using any way possible as a ‘ beautiful poem’. I was moved to tears. And that was the moment when I decided to really pay attention to what she say in class even though it was painful to sit in class for 6 to 7 hours a day not knowing what’s really going on. Thank you Mrs. Van Kulan. I hope you are well. Thank you, Sang for writing this lovely story. Yes, good teachers can really make a huge difference in a whole person life!! !